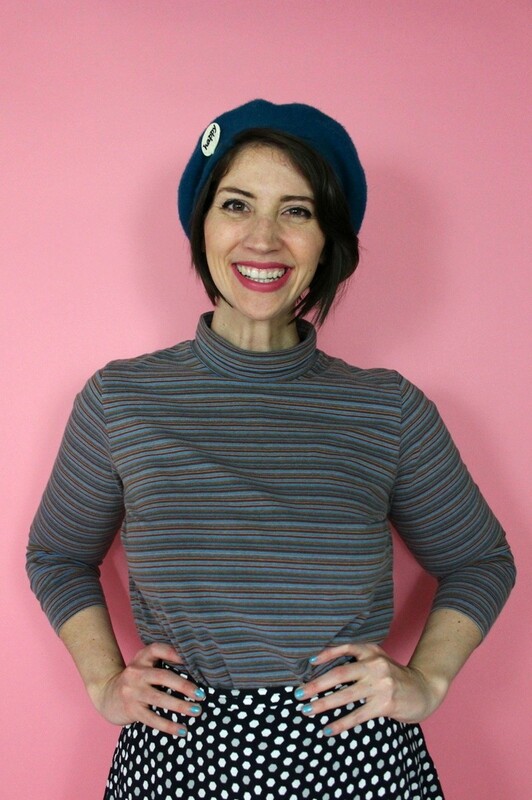 It’s the final day of my winter capsule wardrobe outfit challenge so I saved the best for last! 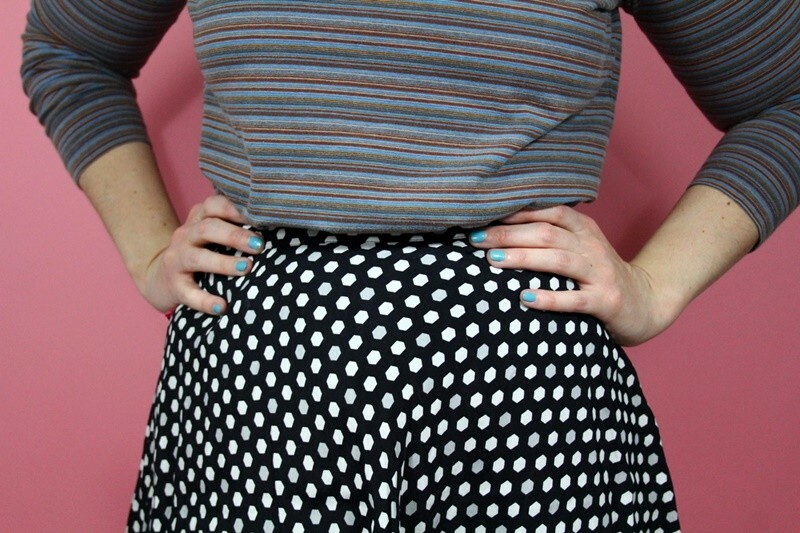 My FashionYou app randomly assigned my polka dot mini skirt and striped turtleneck to be worn together. Now, I love a good pattern mixing but, I had my doubts these would look good together… that is until I added a few key accessories and then I fell in love with this outfit. Scroll down to see and the shop the final look! There’s been so much color used in this challenge that I decided to break things up and wear black tights to compliment this look. 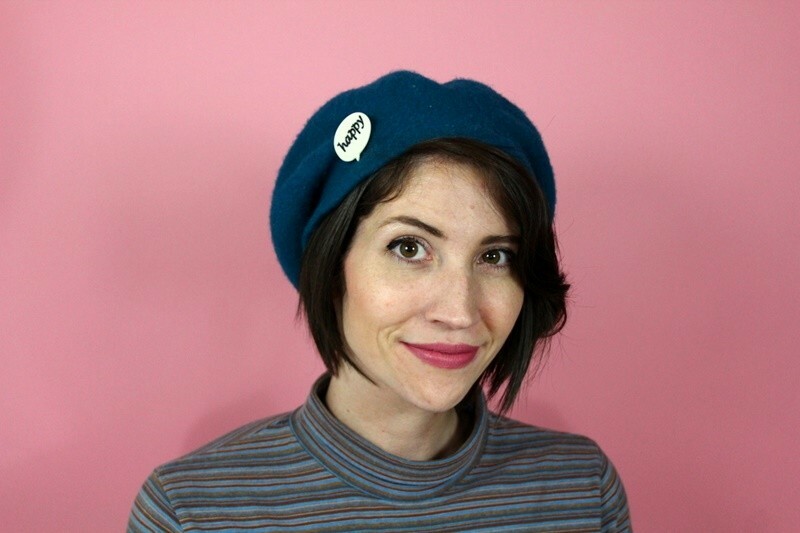 I love the final outcome with the addition of this vintage beret and “happy” pin I found last year at Walmart. “Happy” is also the way I would describe how I feel now that this challenge is over. Oy vey! What a week!